Angola keeper Rui Jorge is hoping to earn the confidence of new coach Srdjan Vasiljevic, who was named on Tuesday. The 22-year-old has been named in the Serbian coach's preliminary 29-man squad for January's African Nations Championship (CHAN) in Morocco. "Determination and a winning mentality will be the main factors for success at CHAN," Rui said. "It doesn't matter if the coach is new, a winning spirit is key for a strong group." Rui will play for InterClube in 2018 moving on a two-year deal from Primeiro de Maio. The 44-year-old Serbian signed a two-year contract as the new 'Palancas Negras' coach on Tuesday and replaces the Brazilian Beto Bianchi, who stepped down last month. Bianchi had national team job coach in an interim capacity, doubling up his work at Petro where he finished the season in second place and as an Angola Cup winner. He has now signed an extension of his contract with Luanda club side Petro Atletico, who want him to concentrate solely on his main job next year. The new coach's first job was to name a 29-man pre-selection for next month's CHAN - the 16-team continental championship tournament for home-based players. He will also be in charge of Angola's 2019 Africa Cup of Nations qualifying campaign, which began with a 3-1 loss to Burkina Faso in June. The Palancas Negras will also play Botswana and Mauritania in Group J of the qualifiers. Vasiljevic last worked at FK Javor Ivanjica, but left the Serbian top flight club in September. He was formerly an assistant with the Serbian national team and also head of youth at the country's biggest club, Red Star Belgrade. 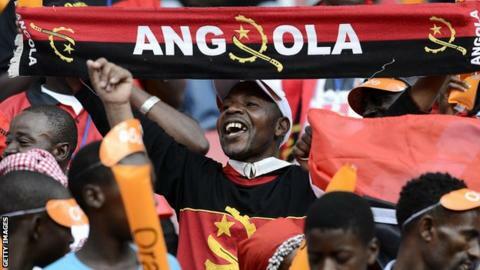 Angola compete in Group D at CHAN with matches in Agadir against Burkina Faso, Cameroon and Congo Brazzaville. The Sagrada Esperanca striker Ado Pena gets a first call-up while goalkeeper Landu and forward Moco are recalled. Forwards: Adó Pena, Bugos (Sagrada Esperanca), Geraldo (InterClube), Job (Petro de Luanda), Kaporal (Primeiro Maio), Mano, Moco (bothy InterClube), Nelson Luz (Primeiro Agosto), Vá (Progresso Sambizanga).